Book your Pony Party now! We also have a Petting Zoo! 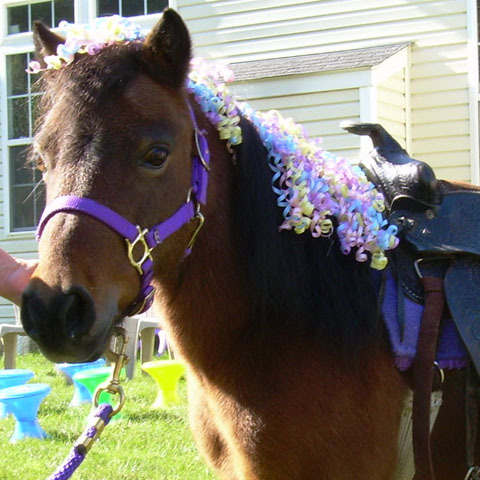 At Ponyland Pony Parties we do pony rides for children's birthday parties, church functions, organizational picnics, and nursing home visits. 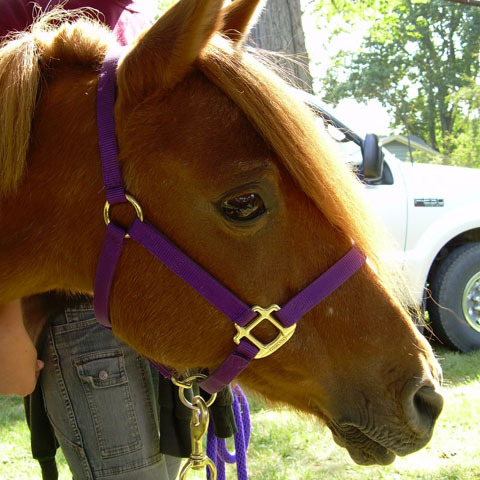 We have ponies of all shapes and sizes and serve Cleveland and the surrounding area in northeast Ohio. Our ponies are part of our family and are either hand led or on our pony wheel and under the direction of our experienced staff. 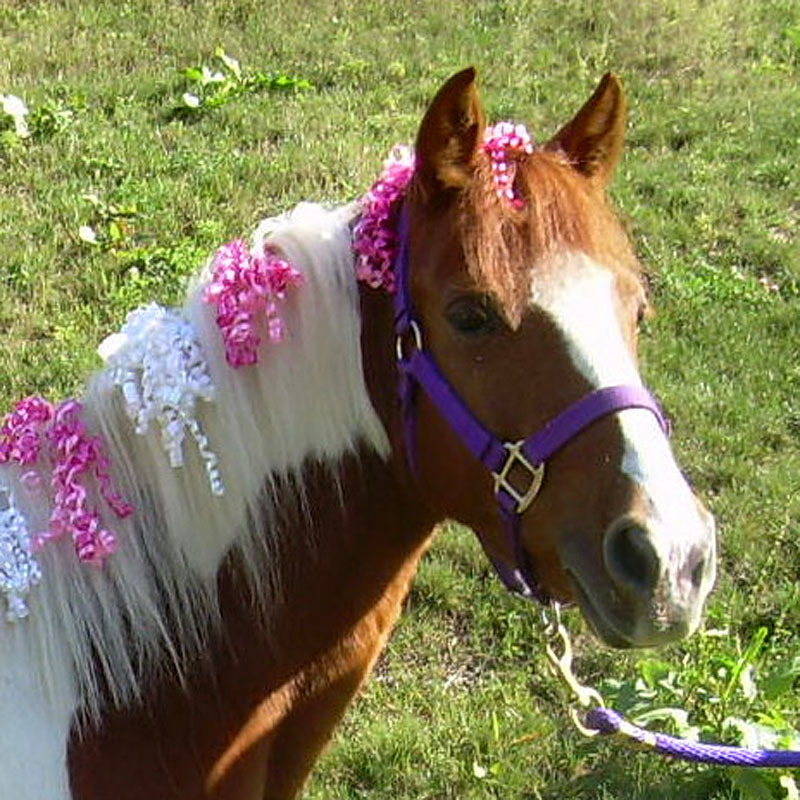 We provide safe, beautiful ponies for all occasions. Our ponies are healthy, well-groomed, and trustworthy. We strive to make your party or special occasion fun and memorable. Our staff is made up of courteous, knowledgeable horse lovers that consider your child's safety the number one priority. The ponies are hand picked by our owners. Some of our ponies came from less than sellar conditions but are now loved and well cared for. They love their job! We carry full liability insurance, are licensed by the Ohio Dept of Agriculture and submit to voluntary, unannounced inspections by the USDA. Upon request, we bring grooming tools so that there is an opportunity for all to brush and love on the ponies. 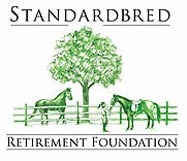 We are happy to answer questions about what the ponies eat and how to care for them, and can provide handouts for special needs. We also have a petting zoo that we can bring to you! It's great fun for kids of all ages and we offer a variety of animals including goats, sheep, alpacas, bunnies, donkeys and a miniature cow. 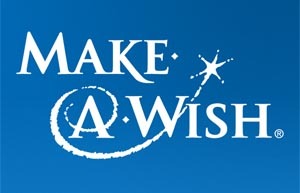 If you have a special request, just ask, we are here to accommodate you! We're located in Thompson, Ohio and cover the surrounding area. 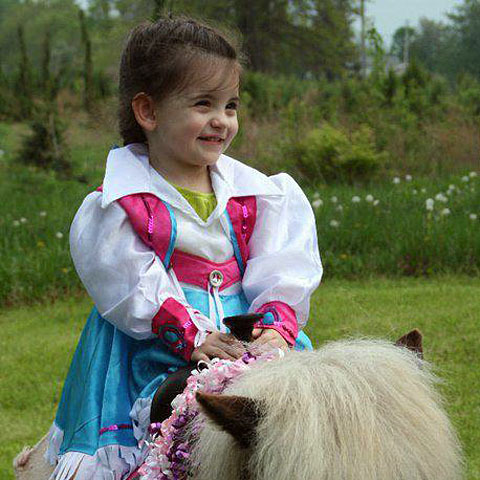 For more information or to book our ponies for your children's party call us on 440-635-PONY or 330-540-PONY. 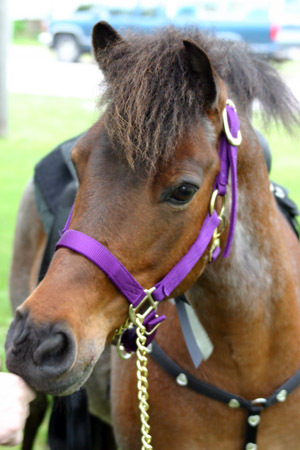 **For our ponies' safety and your child's safety, there is a weight limit of no more than 75 lbs. 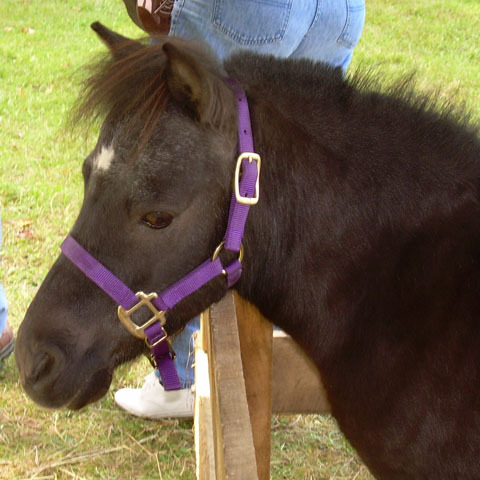 If you have a special need, please let us know and we will see if there is something we can do to accommodate you, such as bringing some of our miniature ponies or petting zoo. Join our many Satisfied Customers. 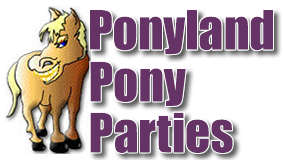 © Copyright 2010-2017 Ponyland Pony Parties, Inc. Unauthorized duplication of any information on this website will be prosecuted under full extent of the law.